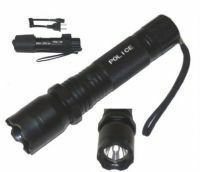 Police Brand High Power Stun Gun Torch For Women Self Defense. 10,00000 Volts Shocking Torch. Sparking shock with Sound. ON / OFF button so that you can not press the shock button by mistake.